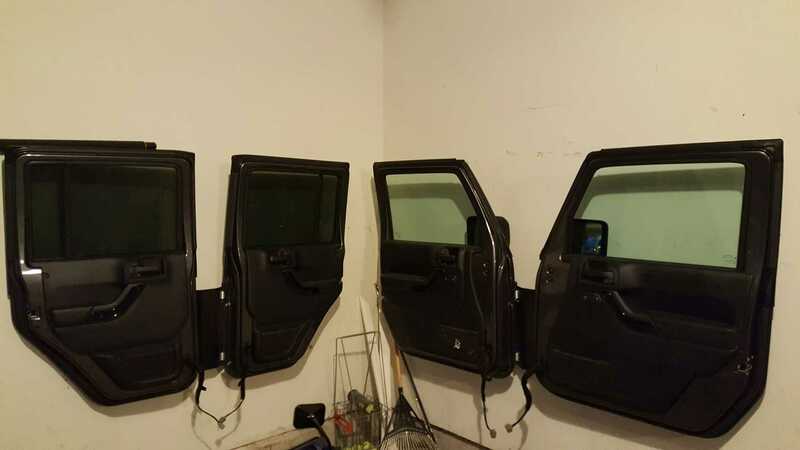 If you are one who removes your Jeep's hard doors when the weather is nice, then you know the struggle of finding a safe place to store those doors. Let's face it, those things can get beat up quickly if not effectively stored somewhere away from danger. 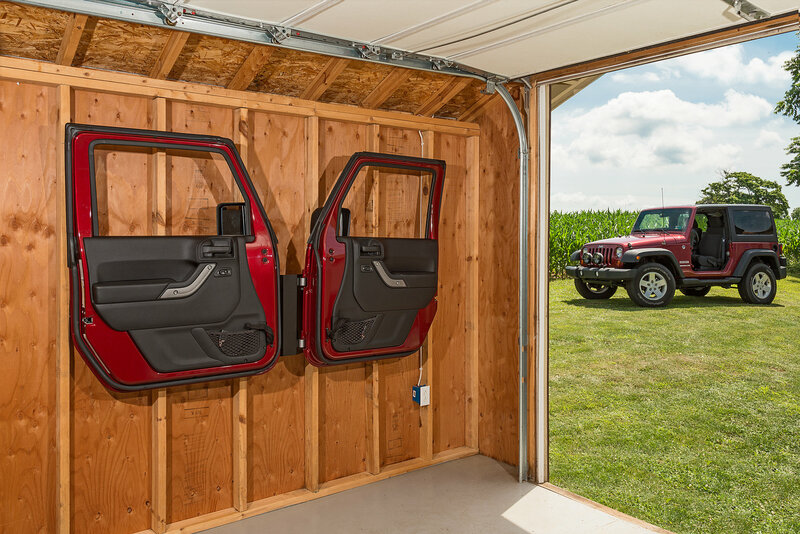 So that is why Quadratec's Door Storage Hanger is the perfect product to securely hang your Jeep doors and preserve their condition - for as long as you need them stored. 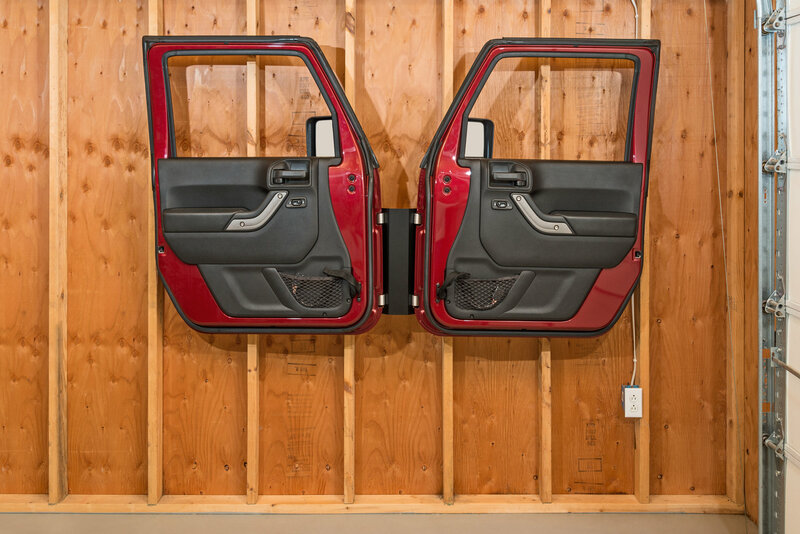 This door storage solution carefully hangs doors by their hinges to avoid any type of damage and, since the doors are hung securely with painted sides facing in, doors remain protected with paint and weather seals tucked away against the wall. 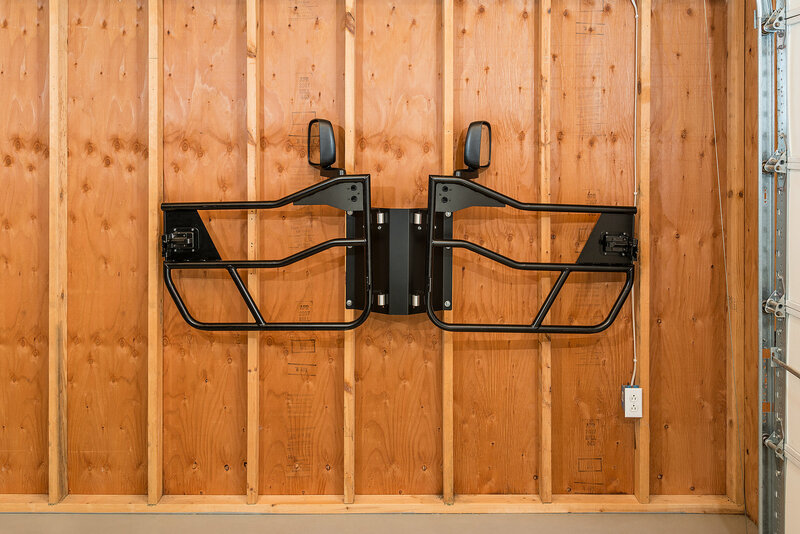 The hanger is constructed of 16-gauge steel with a corrosion-resistant black power coat which ensures years of functional use. Also comes with all hardware needed for installation. Made in the USA. 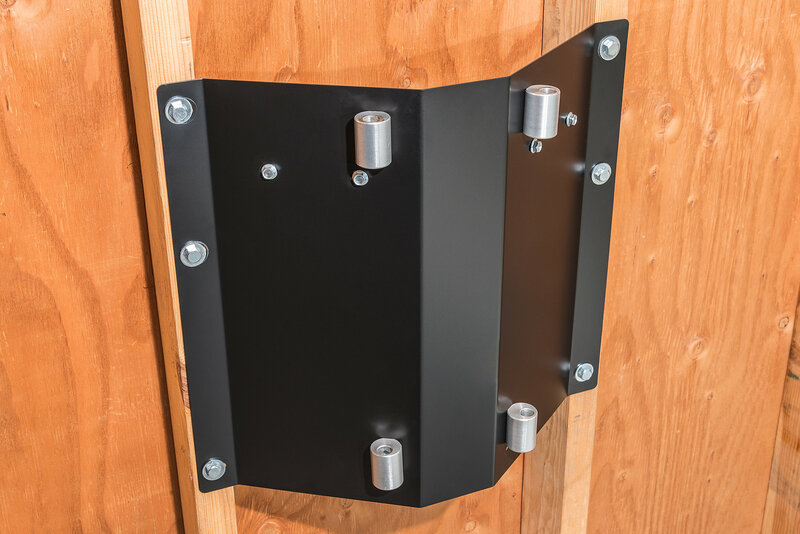 Quality Construction: The Quadratec Door Storage Hanger is constructed with 16-gauge steel finished in a black power coat for durability and corrosion resistance. 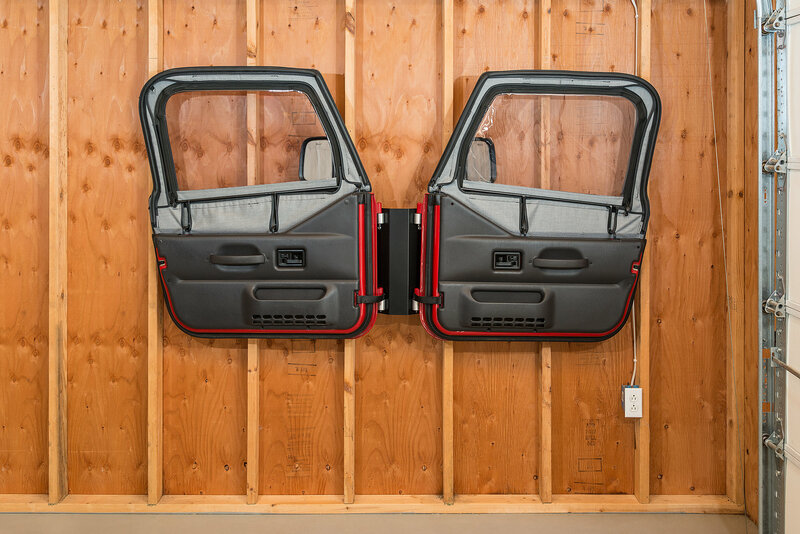 Functional Versatility: This door hanger can be used as safe, year-round, storage for not only your factory Jeep doors, but for aftermarket tube doors as well. 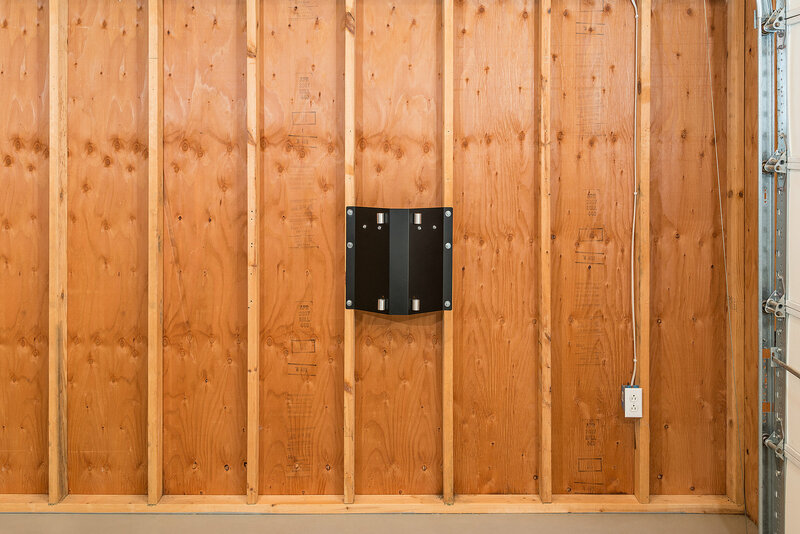 Complete Functionality: Product comes with door hanger and hardware for installation, including lag bolts for mounting on wall studs measuring 16 inches on center. Drilling is required. 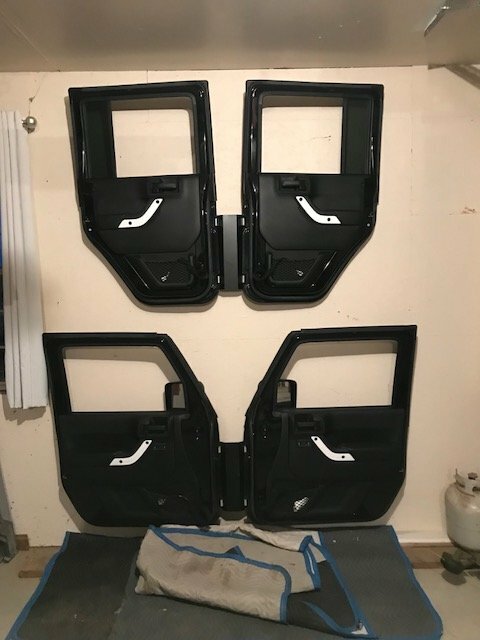 I installed mine today; made sure to use a level to get it exact as I didn't want to have the doors coming away from the wall. I followed the manufacturer's recommendation to mount it 28" from the floor. 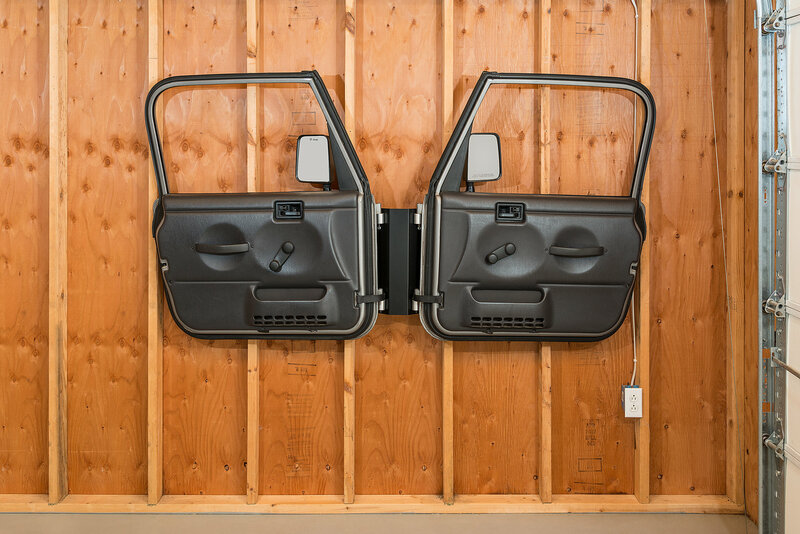 It works perfectly: there's a slight amount of flex when you hang the doors, but it's solidly mounted and keeping them against the wall. 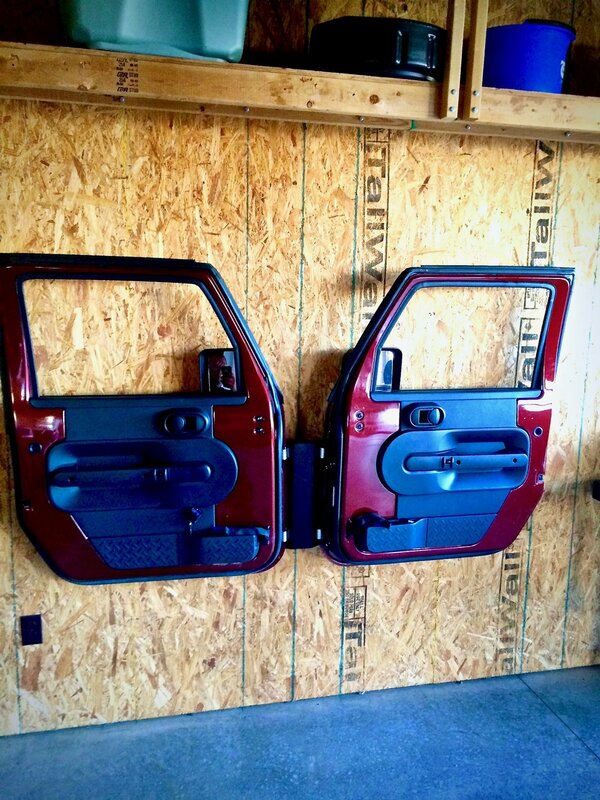 I'm not sure if they modified the hinge receivers, but there's no excessive play in mine with my JK front doors. 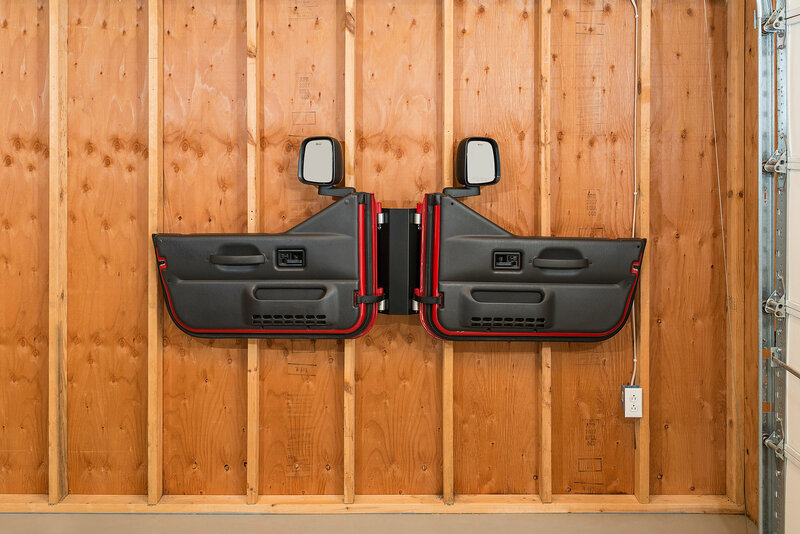 I recommend this hanger over the right-angle foam-covered ones as they're easier to use and don't stick out into my valuable single-jeep garage space. This is a great idea. 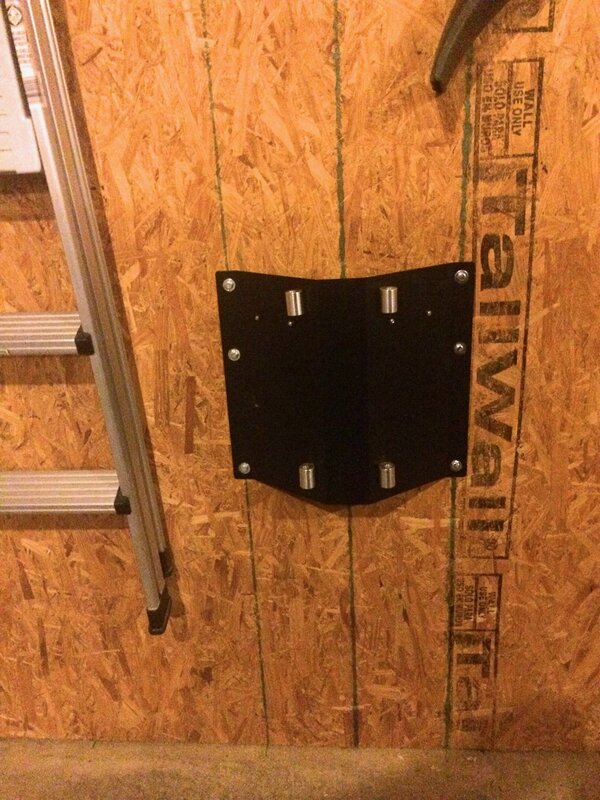 But, they don't work as well if you have drywall. The mirrors become an issue. Otherwise, I like the idea of hanging the doors by hinges instead of window.